With over 20 years of combined recruiting experience, we fill a wide range of key positions, from high-level leadership roles to staff level. We are successful because we take time to understand not just our clients and their businesses – but our candidates too! We are “all in” with each req — AND with our candidates — providing support with scheduling and interview prep, offer negotiation, relocation and new job on-boarding. We know your time is valuable and we are here to streamline the process. We work with only a handful of clients at a time. We are thorough and we love what we do! Debbie’s recruiting career focuses on healthcare, medical device, pharmaceutical, biotech and consumer products. 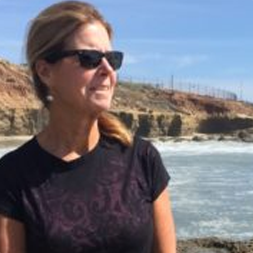 After receiving a BS in Biology from University of California, San Diego, Debbie spent 4 years in the Department of Medical Genetics at UCSD School of Medicine as a clinical researcher. After a successful stint in pharma sales (3rd in the nation with Berlex Labs), Debbie launched her recruiting career and never looked back. She is a passionate surfer, snowboarder and pickle ball player. 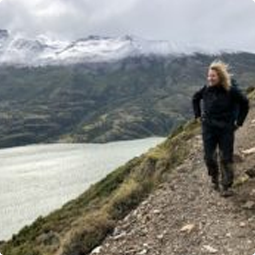 She is a world class backpacker, tackling some of the greatest treks on the planet, including the “O” Patagonia, the Milford Track NZ, and the Manaslau Circuit Nepal. Debbie and her family rock out every Spring at the Coachella Music Festival. Mah Jongg Maven – she has been playing with the same group for nearly 10 years. Proud UCSD alumna! Still attending lectures, concerts and rec classes on campus. Jan joined Debbie after a successful career in television news. As the medical producer at the NBC affiliate in San Diego, she was awarded several Emmy awards for producing stories and programs on cutting-edge medical breakthroughs, including medical genetics, AIDS and cancer research. Jan earned her BA in Communications from the University of California, San Diego. In her “previous” life pre-recruiting, she won 3 national Emmys with ABC News. Her specialty was covering wildfires. She’s a fast runner which came in handy. She loves backpacking too, but sticks to the continental US. Last trip: Eclipse 2017 Jackson Peak, WY. The sourdough bread starter in her refrigerator has a name. She travels around the US showing her Australian Shepherd, Cooper. He’s a champion. Coachella? Yep, Jan and her boys go too. And it’s not just our frontline recruiters supporting this effort. We couldn’t do it without our awesome, behind-the- scenes research team, who work hard to source and identify candidates for our hard to fill jobs.